While we can maximize scholarship opportunities for All Stars and the Fortunate Few, we specialize in showcasing and promoting The Majority directly to college coaches at schools with the right athletic, academic and financial programs for you. Register today for your FREE Online Profile including your teams, stats, pictures, coach's comments, personal and academic information. 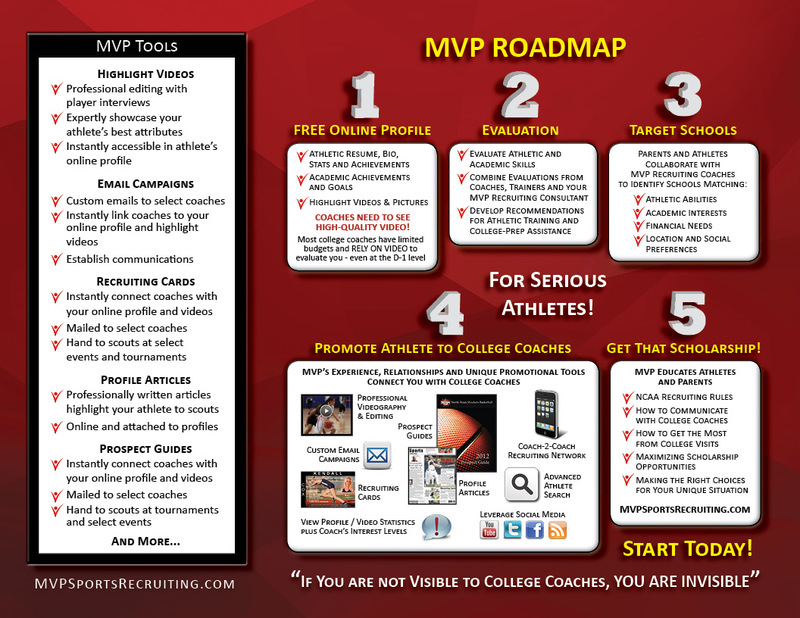 Complete your profile, choose your target schools and put MVP to work for you. 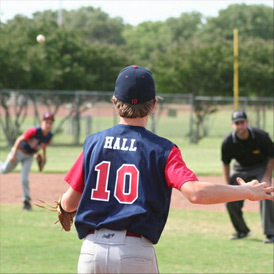 Enhance your visibility with professional highlight videos; send custom emails, recruiting cards and prospect guides directly to coaches; get showcased in a feature article - all easily linked to your Online Profile. Our services are designed to set you apart from the crowd, ensure college coaches know about you and have immediate access to all of your key information. Your personal MVP Recruiting Coach will walk you through the recruiting process and help you comply with NCAA guidelines. We alert you when coaches look at your profile, put you on their watch list or view your video(s). Then, when coaches contact you, we will help you follow-up, start building relationships and maximize your scholarship opportunities. Download Your FREE RECRUITING GUIDE Here! 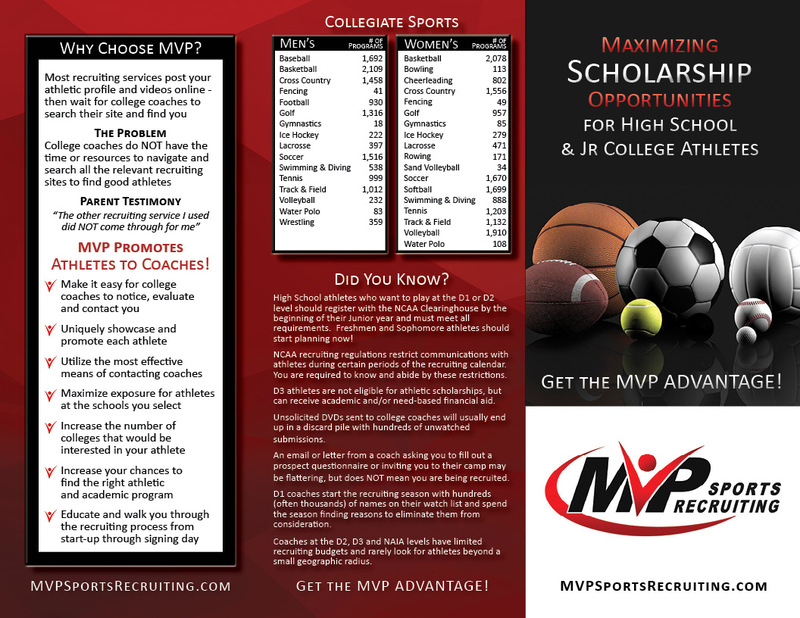 Get the MVP Brochure pg 1 & pg 2 here!